Last month, Russian archaeologists found a secret chamber inside a medieval castle. 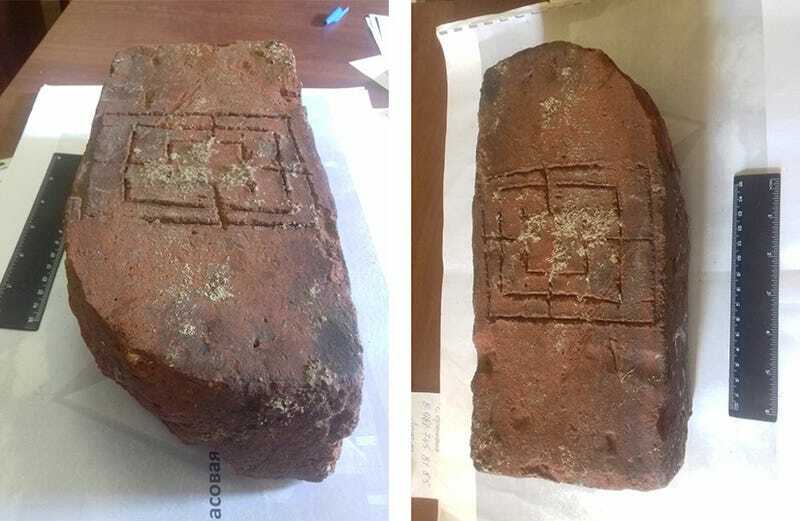 While exploring this previously unknown area, the archaeologists discovered a clay brick with tracings of what appears to be a medieval board game. The Swedish-built fortress, called Vyborg Castle, dates back to the 13th century, and is located in northwest Russia near the town of Vyborg in Leningrad Oblast (check out this gorgeous view of the town from the castle’s Olaf Tower). The fortress, which sits close to the Finnish border, was built on a tiny islet along a strait connecting Vyborg Bay to Viipuri Bay, with the strait acting as a natural moat. The castle has changed hands throughout its long history, with Russia and Finland re-taking possession multiple times. Today, the medieval fort belongs to Russia (a spoil of World War II), and it serves as a major tourist attraction. 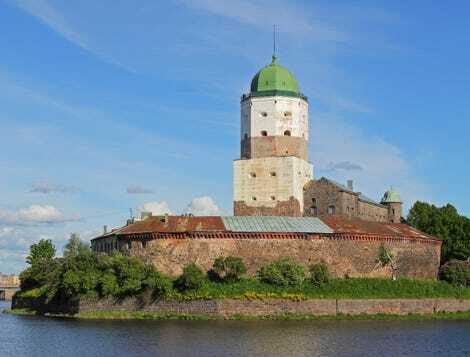 Late last month, officials with Vyborg Museum announced the discovery of a previously unknown chamber — one hinted at in historical documents. Castle records dating back to the mid-16th century make note of a “secret house,” from which a staircase leads to the shore of the strait. Fascinatingly, this newly discovered passageway may extend all the way to the city of Vyborg, though that has yet to be proven. An interactive 3D model created by the archaeologists shows the chamber and the underground passageway. While exploring the secret chamber, the Vyborg Museum archaeologists discovered a clay brick with tracings of what appears to be a board game. The pattern, a kind of grid, was etched onto the brick prior to it being placed inside a bake oven, according to the History Blog. The game played on the brick is actually very well known, and it dates back to the Roman Empire. It goes by several names, including “mill” and “cowboy checkers,” and it’s very reminiscent of Nine Men’s Morris — a game, which like checkers and chess, involves intersecting squares and small pieces, called “men,” that are engaged in combat, as the Moscow Times reports. In the game, each player aims to claim the other’s men, much like the pieces in chess. When a player builds a “mill”—a row of three men—on the grid-like board, they are rewarded with an opponent’s game piece. Once a player is down to just two men, they are unable to form mills and their opponent claims victory. The standard version of the game calls for nine total pieces, but other versions exist involving three, six, and 12 pieces (these alternate versions require different boards). Vladimir Tsoi, the head of the Vyborg museum, said the medieval game board was “the most intriguing” find since excavations began earlier this summer, the Moscow Times reports. Last month, the team found a bag with dozens of early 19th century copper coins on the grounds of the castle.